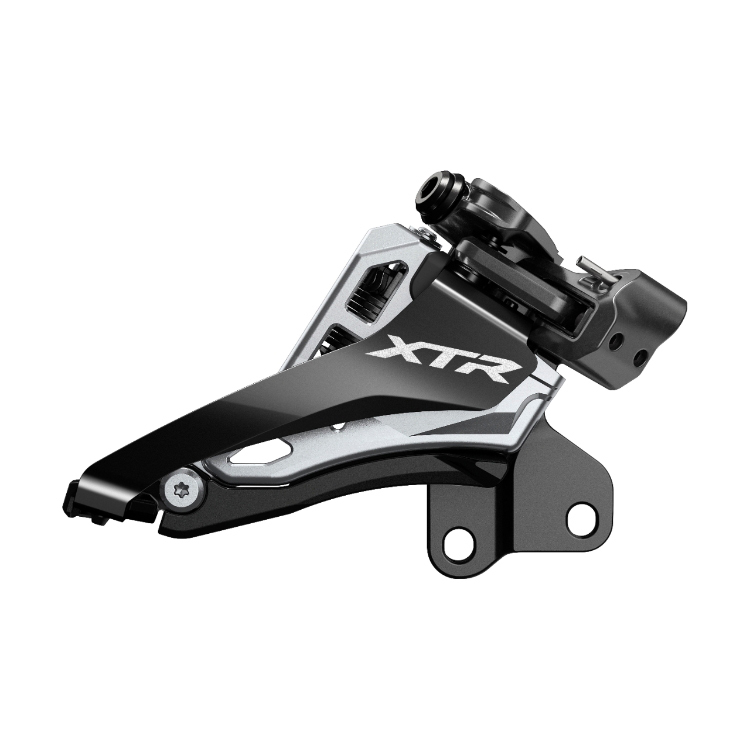 Shimano has upgraded their highly sought-after XTR components to 2x12-speed. The Shimano XTR FD-M9100-E Front derailleur is an E-type front derailleur without the bottom bracket plate. It is made from aluminum and has smooth shifting with the side-swing mechanism. The FD-M9100-E can adapt from 48.8mm and 51.8mm chainline.